Traditional braces are an excellent way to fix orthodontic issues, but they may not be the best fashion statement. Many who are in need of braces are instead opting for a more low key look and are going with Invisalign braces. University Dental in San Diego specializes in Invisalign, presenting this option to our patients in need of orthodontic treatment. What are the Benefits of Invisalign vs. Braces? Deciding behind Invisalign and metal braces can be a tough decision as both options have advantages and disadvantages. Invisalign braces have a number of benefits over classic braces, and you can find them below. The most obvious advantage is the aesthetic advantage. With Invisalign, you have braces that are hardly detectable, so you do not have to worry about the unflattering appearance of braces. This can lead to a confidence boost, which is essential for a young child, preteen or teenager. Since Invisalign is removable, you can simply take the braces out when you are eating. No more trying to dig a rogue piece of food out of your braces, as they won’t even be in your mouth. If your Invisalign braces do happen to get some food caught in them, cleaning is made easy because you can simply remove the braces and run them under water. Most patients only need Invisalign for a year or less, which is a shorter duration than with metal braces. 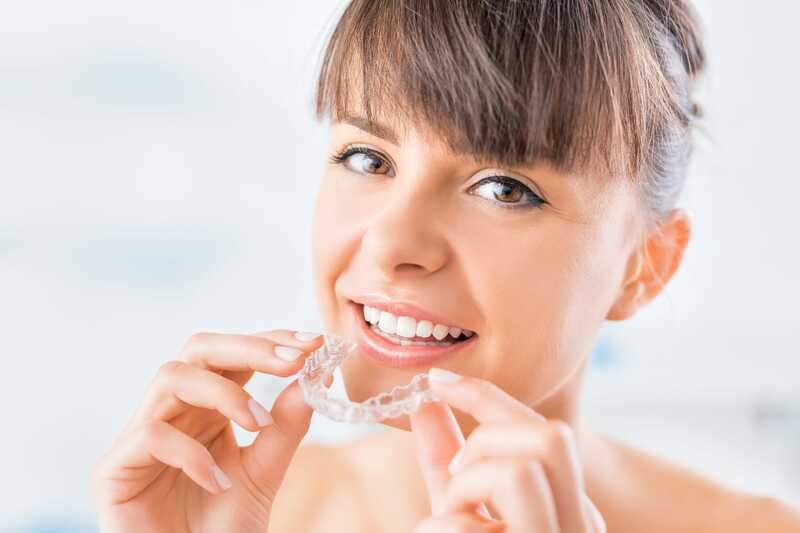 However, this is a bit of a chicken or egg scenario, since Invisalign is only used for more minor issues, while metal braces tackle the tough stuff. Make braces simple with Invisalign invisible braces. While Invisalign is unable to treat every orthodontic issue, they are a great solution for minor problems. If you are interested in finding out if Invisalign is for you or are in need of an orthodontic examination, contact University Dental today by giving us a call at (619) 582-4224.